MLPA analysis – RAI1 gene (TAT: 15 days); aCGH (TAT: 6 weeks); EXOME D (TAT: 4 weeks). 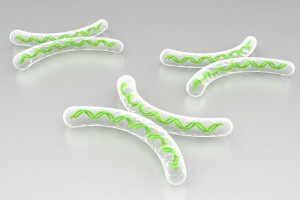 Potocki-Lupski syndrome (PTLS – OMIM 610883), also known as chromosome 17p11.2 duplication syndrome, is a developmental disorder characterized by hypotonia, failure to thrive, pervasive developmental disorders with mild-to-severe mental retardation with possible language and cognitive impairment and frequent features of autistic spectrum disorder. Several types of congenital anomalies, including cardiac defects, are also included in the clinical spectrum. PTLS may go unrecognized until later in infancy or childhood. PTLS is caused in about 60% of cases by a microduplication in the chromosomomal region 17p11.2. Such microduplication is caused in about 70% of cases by Non Allelic Homologous Recombination (NAHR) between low-copy repeats (LCRs) and is reciprocal to the common recurrent 3.7-Mb microdeletion that causes Smith-Magenis syndrome (SMS), a syndrome which shows overlapping clinical features, though being generally more severe than PTLS. In all cases of PTLS the microduplication appears to contain at least the RAI1 gene, suggesting that this gene is mainly responsible for the phenotype (SMS is caused also by single nonsense or frame-shift mutations of the RAI1 gene, confirming that this is a highly dosage-sensitive gene). All reported cases oF PTLS have occurred sporadically without differences in the parental origin of rearrangements. PTLS is typically diagnosed by array comparative genomic hybridization (CGH) analysis (but also MLPA kits are available to measure the dosage of RAI1). High-throughput technologies like exome sequencing powered with CNVs detection probes and algorithms may also be used to screen for PTLS. High-throughput technologies offer the advantage to screen for other chromosomal imbalances or genic mutations in case the screening of the PTLS critical region is negative. Some typical features of PTLS also include: mild dysmorphic facial features (triangular facies, smooth and flat philtrum, high-arched palate, frontal bossing, trigonocephaly, hypertelorism, mandibular and maxillary hypoplasia, submucous cleft palate, bifid uvula, wide nasal bridge, epicanthal folds, strabismus, large mouth, wide third phalanges on the hands, and increased gap between the first and second toes), behavioral abnormalities such as attention-deficit, hyperactivity and autism, short stature, dental abnormalities such as malocclusion and crowded teeth, obstructive and central sleep apnea, structural cardiovascular abnormalities, electroencephalogram (EEG) abnormalities, and hypermetropia. Some other clinical stigmata, which are more commonly seen in the reciprocal Smith-Magenis syndrome, are usually absent or just rarely reported in PTLS and include: short stature, hearing impairment, otolaryngologic abnormalities, myopia, iris hamartomata, genitourinary anomalies, renal anomalies, scoliosis, and hypercholesterolemia. Posted in Academia, Cytogenetics, Disease cards, Last Update, Medical Genetics and tagged 17p11.2, aCGH, chromosome 17p11.2 microduplication syndrome, EXOME D, Potocki-Lupski syndrome, PTLS, RAI1, Smith-Magenis syndrome.